Sometimes librarians feel like we’re the only ones who think about intellectual freedom, but I can proudly report that authors, literacy teachers, and literacy scholars are talking the talk and walking the intellectual freedom walk with energy and commitment as well. I’d like to highlight several sessions and speakers at the 2018 National Council of Teachers of English conference (NCTE) in Houston, Texas, November 15-18 and the 2018 Literacy Research Association conference (LRA) in Indian Wells, California, November 27-30. The NCTE conference took “Raising Student Voice” as its theme, and the LRA conference focused on “Reclaiming Literacy Research: Centering Activism, Community, and Love.” Both organizations and their chosen themes have much to offer intellectual freedom advocates in the library community as well! I love how she uses the word “afford” here because it reminds me that often, labeling a book as “inappropriate” or “uncomfortable” comes from a place of privilege and the desire to protect that privilege. 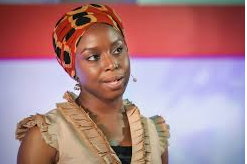 In her speech, Adichie urged English teachers to embrace diversity of cultures, topics, and forms in literature, giving up safety in favor of discomfort. I did not attend the “Disproportionately Censored: A Conversation with YA Authors Who Write About Race, Gender, and Sexuality” panel at NCTE, but the extensive conversations about it on social media after the conference deserve attention here. On Saturday, November 17, a panel of invited authors and literacy scholars including Michael Cart, Sarah Cortez, Sabrina Kahn, Joan Kaywell, Bill Konigsberg, and Tillie Walden held a conversation about marginalized books and related censorship. According to other panelists and multiple attendees, during the panel discussion, one panel member, Sarah Cortez, used homophobic language and expressed other prejudicial and factually inaccurate viewpoints. The outrage discussed by attendees and NCTE members generally was multilayered: first, attendees expressed justified feelings of anger and betrayal that Cortez had co-opted a space a space created to discuss how to address the censorship of marginalized authors and books in order to spread her message of intolerance. Second, attendees and NCTE members were upset with the muted initial response from NCTE, their apparent failture to appropriately vet Cortez before the panel, their failure to name Cortez in their statements after the panel, and the removal of her name from the online program after Bill Konigsberg posted the “Proud Fierce Papa Bear” speech he gave later at the conference, about his reaction to panel. Unfortunately, this panel’s intended goal of raising awareness about the censorship of marginalized author’s and books was subverted by Cortez’s false and hateful comments. The wide NCTE social media community quickly engaged to denounce her prejudice and work to hold the organization accountable and push for future action to avoid this sort of intellectual betrayal. 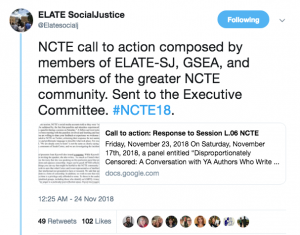 For more information of the debate, read a letter to NCTE from the ELATE Commission on Social Justice in Teacher Education and the Gender and Sexualities Equality Alliance, as well as NCTE’s response one week later. At the Literacy Research Association conference, Professor Christine Leland and doctoral candidate Sara Bangert from the Indiana University-Purdue University, Indianapolis presented the results of a study research involving how pre-service teachers respo nd to learning about censorship. Leland and Bangert found that pre-service elementary teachers were largely unaware that censorship was still an issue in the U.S. issue, and being informed about censorship led to pre-service teachers taking on activist stances related to censorship. Preservice teachers in the study drew on ALA resources on Banned Books, and then developed artistic responses that reflected their learning. Leland and Bangert wanted to find out how preservice teachers responded to censorship, and how those responses reflected their evolving identities as teachers. 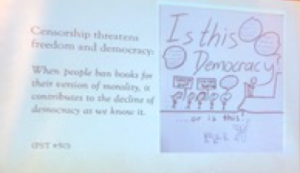 Based on their analysis of the preservice teachers’ artwork, they identified two themes, expressed by the preservice teachers: first, preservice teachers recognize that censorship threatens freedom and democracy. 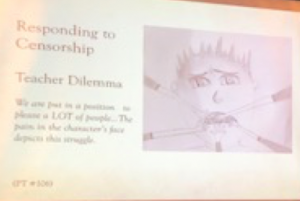 And second, preservice teachers view censorship as both a teacher dilemma and an opportunity for resistance. 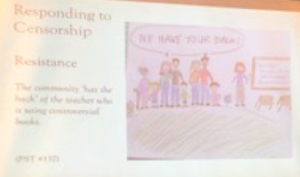 Leland and Bangert shared several examples of preservice teachers’ artwork, which I include here with their permission. Finally, Bettina Love issued a passionate call to action for all those committed to anti-racist education in her plenary speech, “We Gon’ Be Alright, But That Ain’t Alright: Abolitionist Teaching and the Pursuit of Educational Freedom.” Though Love, associate professor in the Department of Educational Theory and Practice at the University of Georgia, called educators to embrace the cultural critical thinking, creativity, improvisation, complex language abilities, and kinesthetic brilliance of black and brown children. While her framing was not in intellectual freedom language or theory, Love’s emphasis on abolishing educational systems of oppression that limit and restrict the intellectual and creative success of students of color is clearly aligned with intellectual freedom goals. Love critiques how educational systems and traditions censor and marginalize the experiences, expertise, and voices of students of color, and she calls white educators to use their privilege as co-conspirators for justice, committed to risk-taking and action, rather than passive allyship. 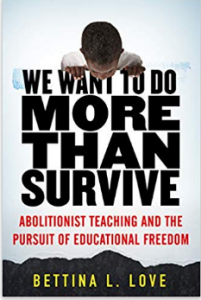 Bettina Love challenged me to reflect on commit to action-based abolitionist pedagogy that challenges the dominant narratives and oppressive forces within education. Fighting for intellectual freedom and censorship prevention is one part of that, but Love prompted me to embrace a broader imperative to fight against the forces that ignore and restrict the intellectual capacities of students in marginalized communities. I look forward to reading her new book, We Want to Do More Than Survive, available in February. 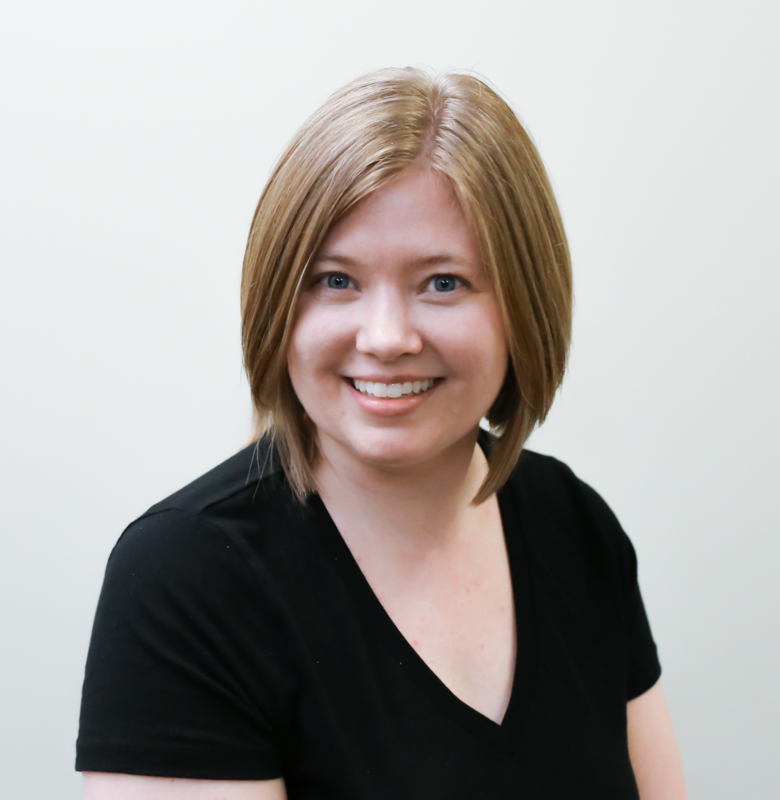 Kate Lechtenberg is a doctoral candidate in Language, Literacy, and Culture in the University of Iowa’s College of Education. 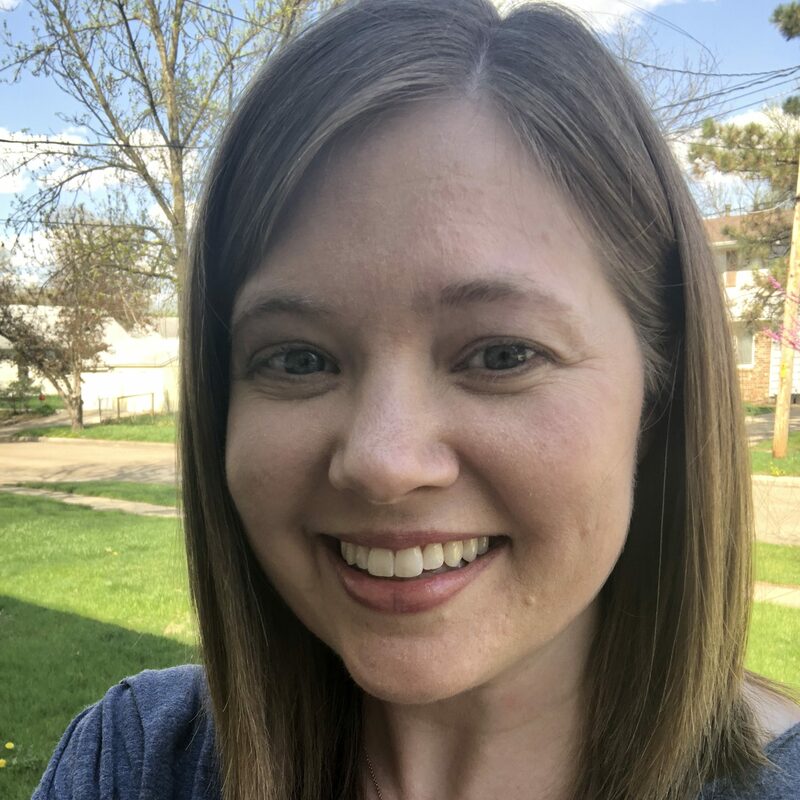 After working in public schools for fourteen years as a high school English teacher and school librarian, her doctoral research now focuses on text selection, multicultural literature, educational standards, and equity initiatives. Kate teaches a young adult literature course in the College of Education and a school librarian course on print and digital collection management in the School of Library and Information Science. She was also a member of the AASL Standards Implementation Task Force. Find her on Twitter @katelechtenberg. I initially read about this incident and was confused because, as you report, there was some reluctance to name the person involved and to report exactly what she said. My first thought was to question how and why she was approved to speak at an NCTE conference. Was this typical or an anomaly? Now you have provided links which give more information. Still, it would be helpful if her actual comments were posted. She made them in public, in front of an audience. Presumably, there is no reason to keep them secret. Was the speech recorded? Finally, it is essential to know what she said. If the comments are only described in general terms, readers who were not there might wonder if, as the NCTE feared, they could be accused of censoring controversial or unpopular speech, which is different than hate speech. If she made hateful and bigoted comments they should be publicly exposed, not left to speculation. She has no right to minimize exposure to her beliefs at this point, and people alarmed at the reports of this event who were not actually there should be able to read them for themselves. Emily, thanks for your comments. I agree that her comments should be brought to light, but I doubt that the panel was recorded, since most concurrent sessions are not. The most detailed report of her comments that I have seen was on Bill Konigsberg’s blog, linked above. 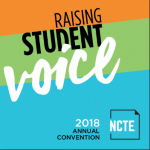 Her views are, I believe, an anomaly among NCTE presenters, and I know there are lots of questions being raised about how/whether she was vetted as a member of this panel. If you find other links that help shed light on Cortez’s comments and how she was invited tot he panel, feel free to add them in the comments!